Hype. There’s a word with a lot of connotations and consequences, right there. To an extent, everything receives it. It’s all a part of spreading ideas and communicating. We share what we enjoy, it’s what we as people have done for ages. To borrow from Dawkins’ theory on the ‘meme’, popular ideas spread almost like a virus and eventually evolve too. And while it’s great to see something you’re passionate about spread all over the world, a saturation point is inevitably reached. At a certain point, the joy and fun of whatever is popular becomes robbed for many… and this assumes they were invested in the idea to begin with! For those who never cared, it can range from a minor groan and eye roll to agonizing frustration at almost every turn. For this reason, we have a page on TVTropes called “Hype Backlash.” While you could say that everything will always receive “THE HATERS”, things go a little bit deeper than that. Let’s dive into it, shall we? The Doc Speaks: 5th Edition Fun! 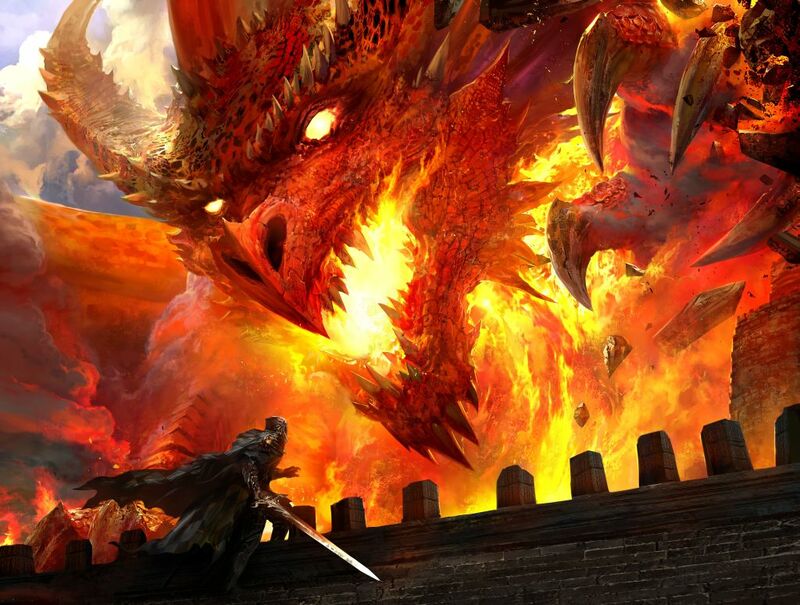 This past year has proved that I am indeed a big fan of Dungeons & Dragons 5th edition! 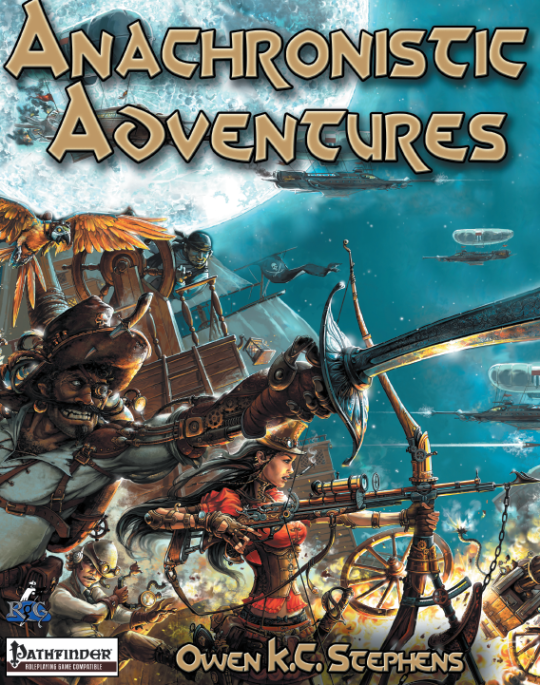 Quite a few of my rambling posts involve D&D as do quite a few of my reviews, to be honest. But hey, it’s always been a favorite topic of mine since I first discovered the game as a wee lad in ’95 (’94?). Granted, I was extremely young and didn’t understand what was going on. The few times I played AD&D, i was hooked! Then 3e rolled around and it was cemented as a part of my life! But, we’re not here to talk about my history with the game. And as much as I want to talk about Games Master Appreciation Month (which is certainly something all GMs deserve for hours of volunteer service, haha), I’m gonna talk about my experience with the current game so far, bits of news (or lack of there for), and other hubbub involving the game! Now, this is in part because there aren’t any new movies, games, or whatever that fit the bill of this blog. And if there are, I don’t know about them yet! (So by all means, flood me with ideas!) In the meantime, pull up a chair and grab some funny shaped dice, because there’s tons of geeky rambling after the jump. The Doc Speaks – D&D Monster Rambling 3 – The Third One! I’m back once more to dive into my favorite spooky, scary monster of the Dungeons & Dragons multiverse! I’ve already covered planar beings and the walking dead, so I’m going to change my focus a bit; the dark tricksters of D&D! I’m talking about the fair folk and shapeshifters specifically! Sure, the scare factor of other strange creatures might excel these nasty creatures, but one shouldn’t discount these beings too much! No matter, let’s turn the page and talk about some monsters! I bet you’re getting tired of the Monster Manual image, right? Luckily for you, this will be the last time I use it! (Well, until I do another rambling about monsters that is!) In fact, this is the last entry for my “D&D Month.” While I’ll always jabber about RPGs every now and then, this month was something special for me. I can happily say I truly got back into RPGs this month. Sure, I on/off playtested D&D Next, did a couple Savage Worlds one-shots, played some Call of Cthulhu once every couple months, and ran Encounters for D&D, but I really want to actively play again. Maybe 5e inspired that in me or something else, I don’t know. But, enough rambling, we’re here for a Bestiary of truly scary Beasties! 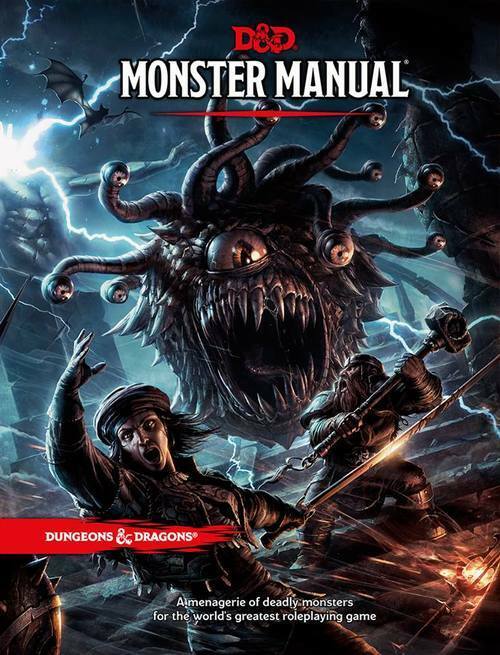 I’m talking about the D&D 5th Edition Monster Manual of course! This book details all sorts of monster both very familiar and somewhat obscure. You’ll see some old favorites and some oddballs that exist in scattered parts of the multiverse. But, since it’s just a book about monsters, why should the fans care so much about the Monster Manual?